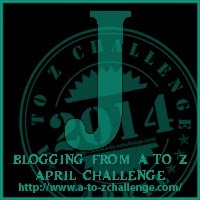 I have a couple different posts for the letter J in the A to Z Challenge. So I will post this one about using my blog to journal about my kids and save the Judging post for later or even a bonus post. So here is my post for the letter J. Why am I blogging about my kids on my blog? That is a simple answer to me. It is because my kids are a big part of my life right now as well as my wife. This again is why I named my blog as ‘Life of a Busy Dad”. I am using my blog kind of like a hand written journal. This is a way my kids will be able to go back to my blog and read it. I thought I might also print my blog out and turn it into a personal book for each of my kids. Another reason I blog about my kids is that I will always have a never-ending resource of posts for it. If you have any young kids, then you will know this first hand. They are very active and full of life. Plus I like sharing things my kids do or are doing right now. It will also give me a platform to improve my writing and communication skills as well as how to communicate my thoughts to others. This is a big deal since this is my weakness. If I get to a point where I start a podcast on my blog, then this will help me to do public speaking. Great things you need to be successful in life and in your work place. Why did you start blogging on your site? Why did you use that name for your blog? Are you looking to use your blog to help in your daily writing or communications skills? Please leave your comments below. This article was written in 12/28/2011 on my other blog http://www.fatherof4.com. The Daily Post post a day has the following question. Are you good to people you don’t know? How, when and why (or why not)? I try to be nice and polite to people I don’t know all of the time. You never know when the kindness will be returned to you when you are in need of help. It is part of my character to be this way and it is how I’m raising my kids to be as well. There is enough selfishness out there in the world and not enough kind, helpful people. It is more interesting to see how people react to you after being kind and helpful to them. Some people are so grateful for the help and sometimes offer things in return like money or coffee. Which majority of the time I decline to take anything from them. There are other people that you are kind to that act hostile towards you. They are the people that don’t believe kindness comes free and that you want something like money from them for helping them or have too much pride to except the kindness of strangers. Here is one of my favorite scriptures from the Bible.